Amina Buddafly is finally done with being a sister wife. 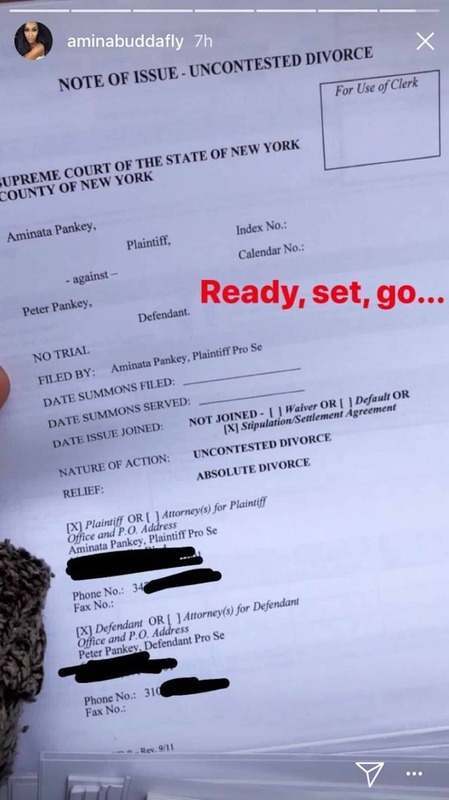 The reality star revealed on her Instagram story that she has filed for divorce to end her marriage to Peter Gunz. Ummm she must have received her Green Card.. They played each other, she knew he was living and in a relationship with the mother of two of his children.. Did she really think this marriage would last?? Shame on the both of them..Peter has children close to her age..